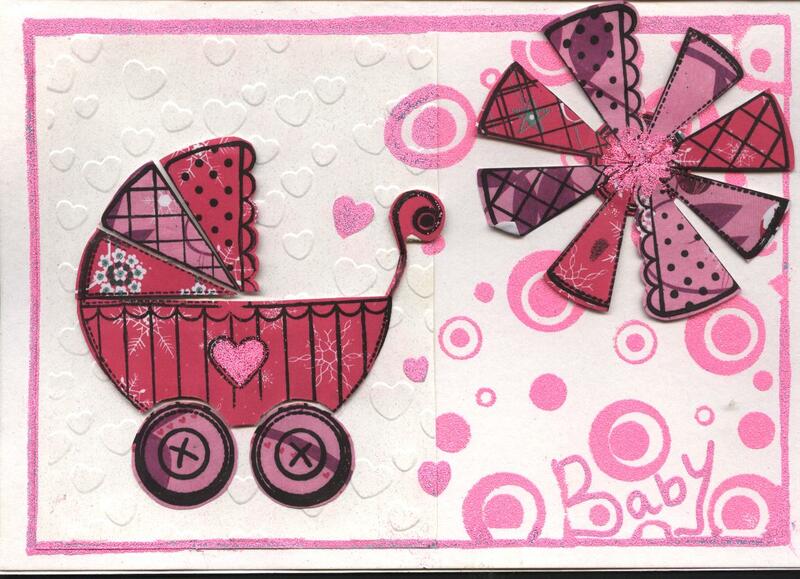 Little Sue has come up with two cards using the Woodware Pram stamp. 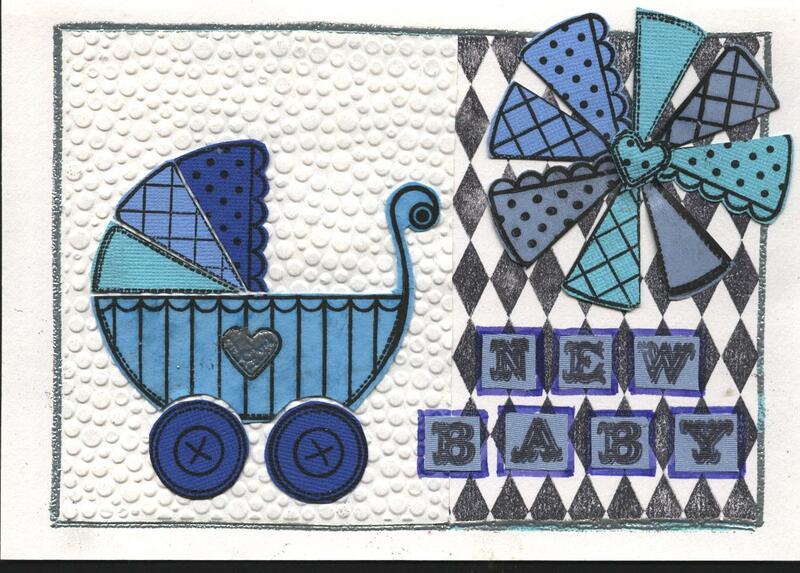 She has incorporated other stamped images and Cuttlebug embossing folders in her project. Over the next couple of weeks, we will be showing some of the work from the May challenge, "homage to white space" and would remind you that June's challenge has begun. Nigel has done the inspirational piece for "Lets the Dance Begin" - all I can say is wow! Our very own Sarah Anderson's exhibition had its preview on Friday 3rd June. In store until the end of this month. All welcome to come and have a look. Saw this sign in a salon in Belguim - any clues guys? Answers on a postcard please. 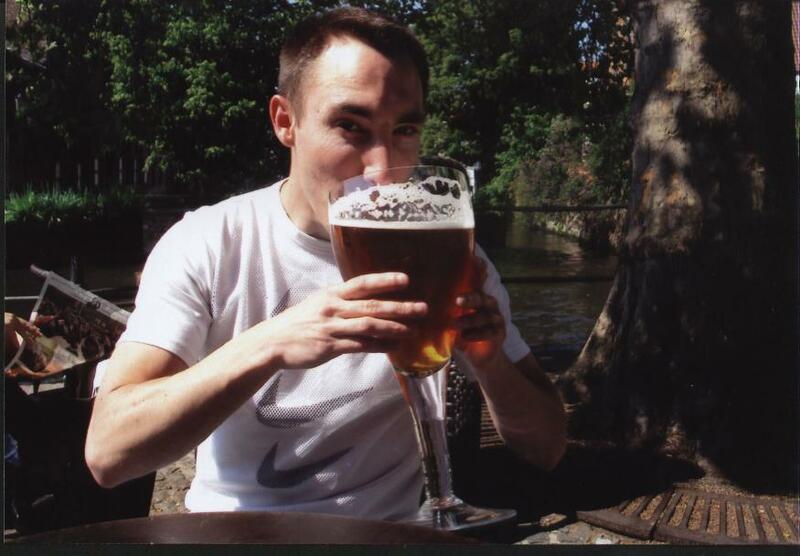 Kieran is banned from asking for a large beer ever again. He became a tourist attraction in Bruges when we were on holiday recently.